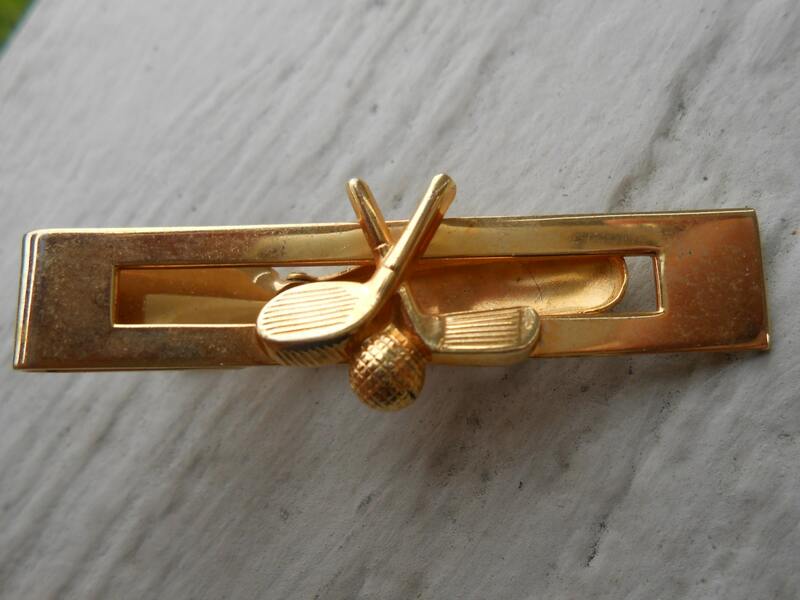 Vintage Golf Tie Clip. 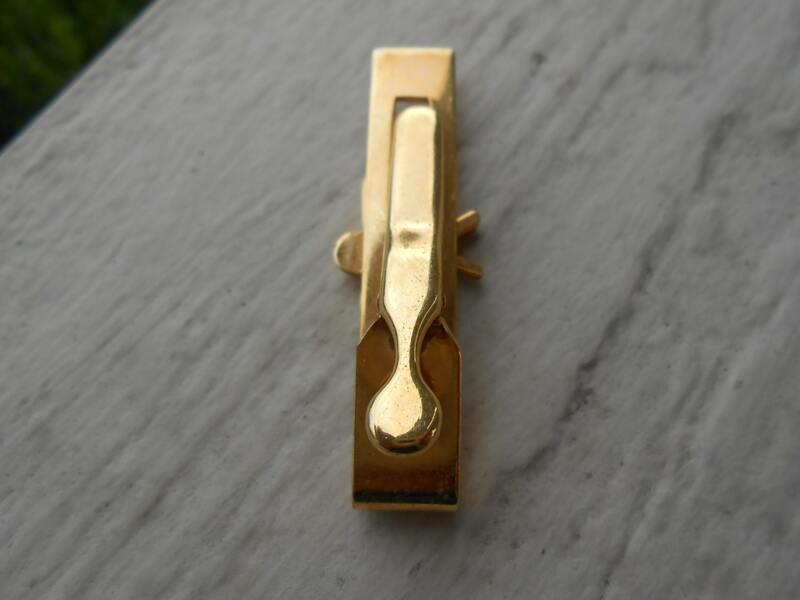 Christmas, Wedding, Groomsmen Gift, Dad, Groom, Anniversary, Birthday. 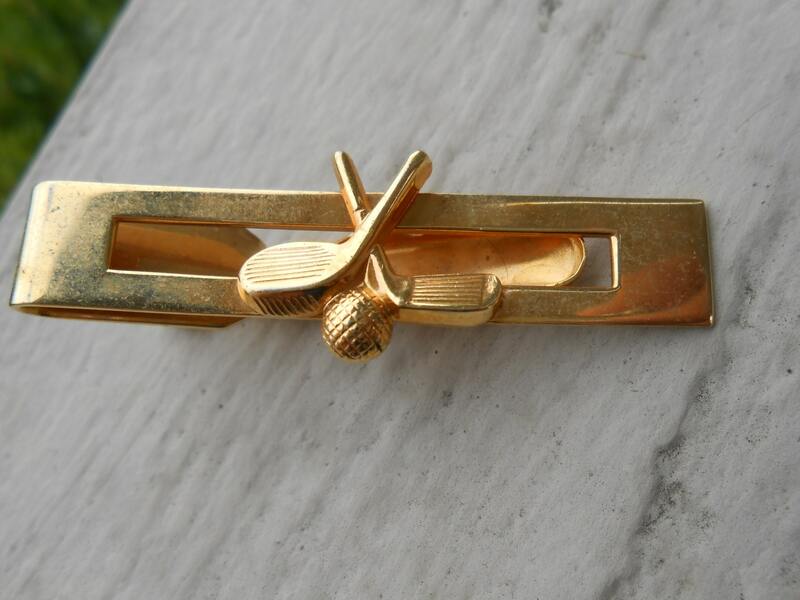 This vintage tie clip is just the thing for a golfer! 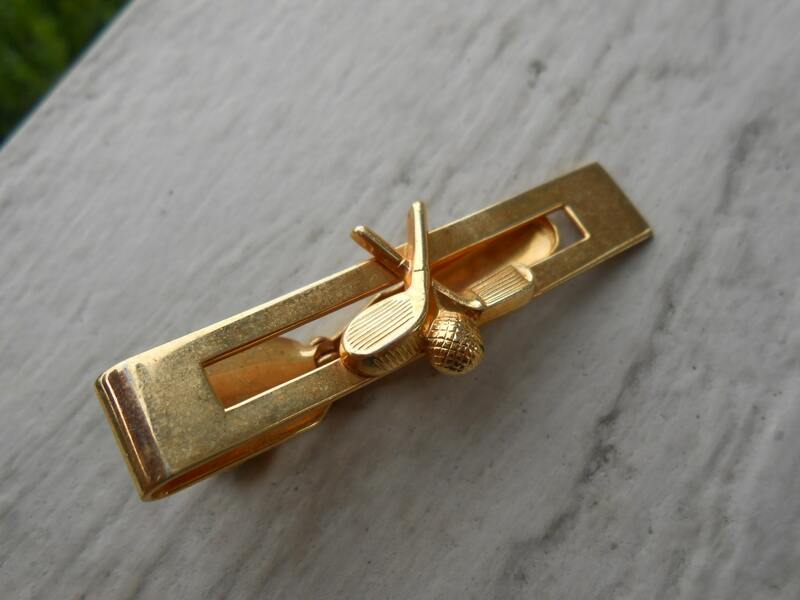 It is a gold tone and has two crossed golf clubs and a ball on the front. 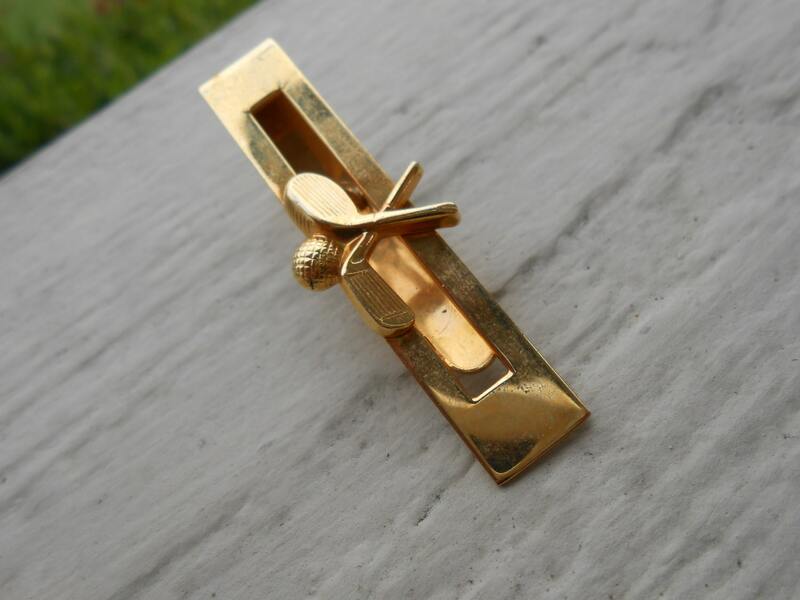 It measures 2" long and is in good condition! It was made in the 1970s.